How to Infect a Computer with a Virus or Trojan? A white hat hacker is a professional ethical hacker who uses the same tools and techniques of a black hat hacker. The only difference is their intention to study and use their expertise for cybersecurity research and development. White hat hackers then use their collected data to present to their clients or respective employers to strategize a more in-depth security planning. White hat hackers know many ways of how to infect a computer with a virus or trojan. They can also use exploit kits which are automated threats that utilize compromised websites to divert web traffic, scan for vulnerable browser-based applications, and run malware. White hat hackers utilize exploit kits with the end goal of establishing control of a device in an automated and simplified manner. Inside an exploit kit, a series of outcomes must happen for the infection to be successful and effective. Starting with a landing page, to the execution of an exploit, and to the delivery of a payload, each stage must be successfully completed in order for the white hat hacker to gain control of the host. Exploit kits can be effectively used on how to infect a computer with a virus or trojan because it is developed in as a way to automatically and silently exploit vulnerabilities on a client’s or employer’s machines while browsing the web. But exploit kits under a white hat hacker’s control is only used for cybersecurity data research and not for malicious activities. To begin, exploit kits are equipped with a website that has been compromised. The compromised page will discreetly redirect web traffic to another landing page. Within the landing page is a code that will profile the enterprise’s device or endpoints for any vulnerable browser-based applications. If the device or endpoint is fully patched and up-to-date, the exploit kit traffic will stop. If there are any vulnerabilities, the compromised website discreetly diverts network traffic to the exploit. This is the first step on how infect a computer with a virus or trojan using exploit kits. The exploit uses a vulnerable application to covertly run malware on a device or endpoint. The examples of targeted applications are Adobe® Flash® Player; Java® Runtime Environment; Microsoft® Silverlight®, whose exploit is a file; and the web browser, whose exploit is sent as code within web traffic. This is the second step on how infect a computer with a virus or trojan using exploit kits. While the most common payload is ransomware, there are many others, including botnet malware, information stealers and banking Trojans that can be used. When the payload is successfully applied, the exploit kit sends a payload to infect the device or endpoint. The payload can be a file downloader that recovers other malware or the intended malware itself. With more advanced exploit kits, the payload is sent as an encrypted binary over the network, which, once on the victim’s host, is decrypted and executed. This is the final step on how infect a computer with a virus or trojan using exploit kits. When the enterprise have their security data and they want to improve even more, this can be achieved through reducing the attack surface, blocking known malware and exploits, and quickly identifying and stopping new threats. In Comodo, we offer Advanced Endpoint protection to many businesses to improve their endpoint security even more. Comodo Advanced Endpoint Protection provides a lightweight, scalable Default Deny Platform with a unique endpoint security approach, which results in complete protection and enterprise visibility. The app-based platform eliminates complexity and solution overlap. Provisioned in minutes, Advanced Endpoint Protection also includes unified IT and security management console, that through an app-enabled platform reduces the effort of managing your Android, iOS, OSX, Linux, and Windows devices, on every segment of your physical and virtual networks. Comodo is known for its largest brand of certification authorities internationally. Certification authorities issue digital certificates which are used for many reasons. Some of the reasons are for encrypting confidential information, we call the encryption as SSL, or digitally signing applications so that the operating system will trust the incoming digitally signed application when executing. Comodo uses their expertise and knowledge and supplies this into our containment solution as a list of good files. Machine learning is a broad and ever-changing field, and Comodo uses the latest machine learning techniques to determine if a file is malicious or benign. Comodo has created a predictive model started with collecting a huge number and variety of malicious and benign files. Features are extracted from files along with the files’ label (e.g. good or bad). Finally, the model is trained by feeding all of these features to it and allowing it to crunch the numbers and find patterns and clusters in the data. When the features of a file with an unknown label are presented to the model, it can return a confidence score of how similar these features are to those of the malicious and benign sets. That effectively defends the endpoints from the Trojan Horse malware effects. These concepts underpin VirusScope, Comodo’s file and behavioral analysis engine residing on the local client. Comodo Advanced Endpoint Protection (AEP) combines both superior prevention with the ability to detect/respond to threats as they emerge. Comodo AEP goes beyond prevention provided by conventional signature-based detection and AV. Comodo AEP includes multiple preventative capabilities including AV, HIPS, ongoing Artificial Intelligence/Machine Learning monitoring and layers on the ability to manage and monitor endpoints to quickly resolve issues. Advanced Endpoint Protection provides deep visibility into file activity on your endpoints, detecting malicious behavior that other security solutions may miss, and provides you the controls to investigate, contain and remediate your entire endpoint environment. If there will be a case that an unknown suspicious file will get through the containerization technology, Comodo AEP can take an action immediately when this happens. 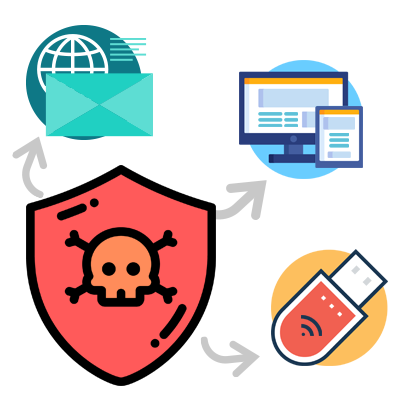 It tracks any malicious activities that are not supposed to occur while the endpoint environment is in use or idle. An enterprise needs to collect relevant research data on their own endpoint systems. Their very own white hat hackers can serve them their best hacking and data gathering skills. The information they will collect can give a clearer view of what to avoid in the future. Thus, help improve your endpoint system through using Comodo AEP. What to know more about Comodo AEP? We are happy to assist you anytime. Just visit our website for more details.